Taking command of the sky during recent advanced flight testing, the Viperjet MKII exceeded its projected true air speed of 300 knots at 25,000 feet (517 mph). Professional test pilot Len Fox pushed the Viperjet MKII through a series of exercises testing the aircraft for all fore and aft center of gravity limits, stalls and aerobatics. 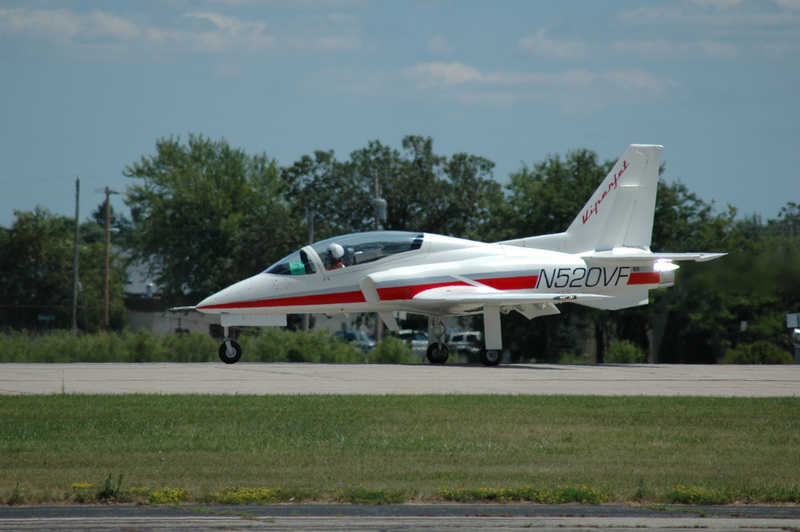 During recent advanced flight testing, the Viperjet MKII exceeded its projected true air speed of 300 knots at 25,000 feet (517 mph). “We’re very pleased with the performance figures that are coming from this final round of flight testing on the Viperjet MKII,” announced CEO Scott Hanchette. The new Viperjet MKII is a two-place, tandem seat, fully aerobatic aircraft designed and manufactured by Viper Aircraft Corporation of Pasco, Wash. Blending time-tested technologies with advanced composite technology, the Viperjet MKII is a stable IFR platform with a 77 knot stall speed. Utilizing the 2850 pounds of thrust generated by its General Electric J-85/CJ-610 power plant and its favorable power to weight ratio, the Viperjet MKII is a capable, cross-country aircraft. For more information, visit [http://www.viper-aircraft.com].